The warp is indigo dyed cotton from a good company. 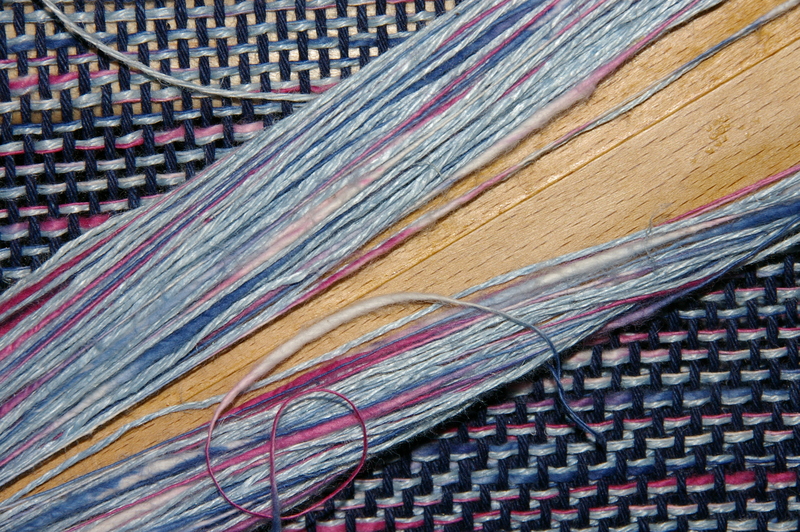 The weft is hemp yarn and a cotton slub which have been wound together onto the shuttle and used as the weft throughout. The loom was 20″ (50cm) wide and the warp was 250″ (635cm) long. 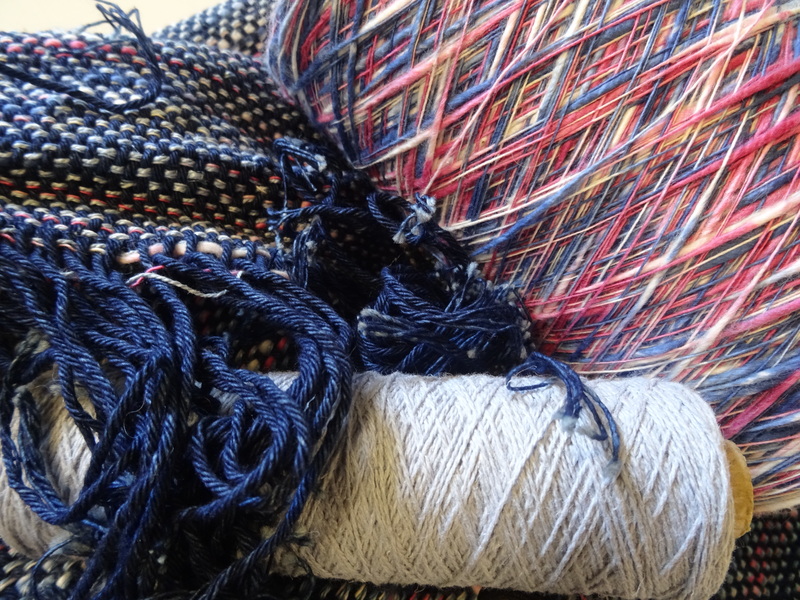 The weaving is quite airy at this point but washing the fabric brings all the fibres together and gives the fabric body. The selvedges are used for the back seam and are overlaid and top stitched together. This gives a nice flat seam. 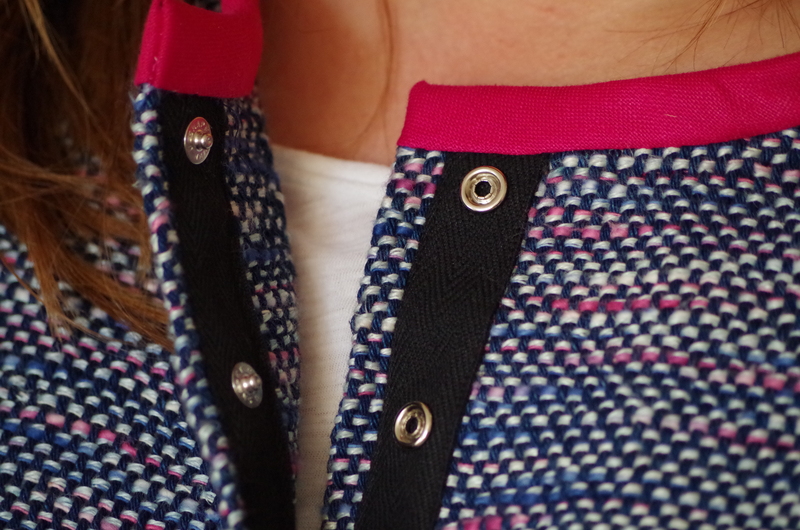 I used pink cotton thread for the stitching to highlight the pink in the weaving. The Poppa strip joins the two front edges in a neat and stylish way and the neck edge is finished with a bias cut strip of linen fabric. All the cut edges were finished with iron-on woven interfacing before sewing started. 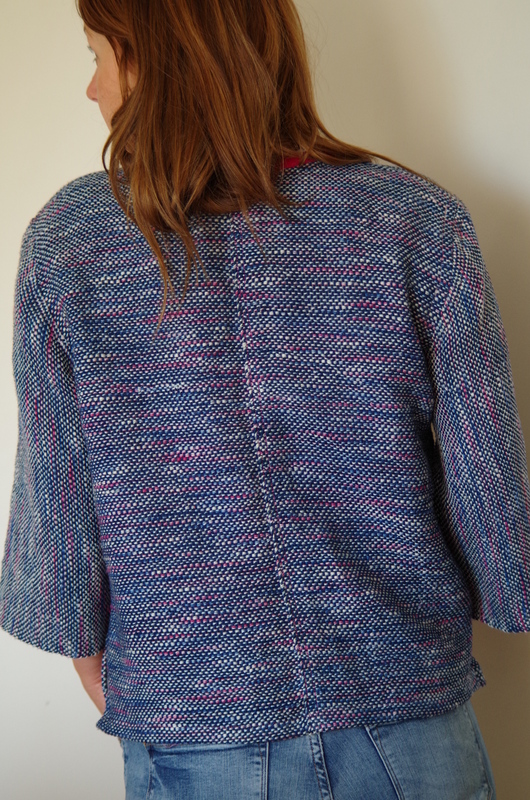 This makes putting the garment together very easy with no worries about fraying edges! Leaving a small vent in the side seams gives a comfy feel to the fit. Top stitch down both sides of the seam to sharpen the look and give the jacket body. Hope to see you all at WOOLFEST in Cumbria on June 26th and 27th. Sarah and I will be on our stand GET WEAVING in aisle D. Do come and see us, we love to hear all your weaving stories. Nice work. What a great yarn combination and that poppa strip is something i will have to look for. Excellent idea.